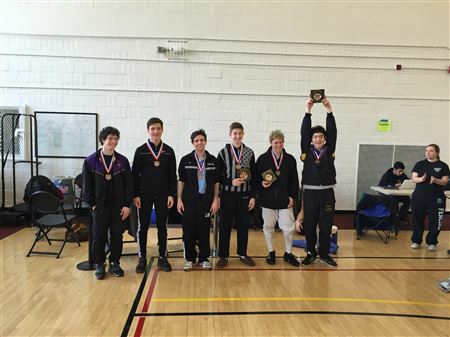 Sixteen BFC fencers travelled to College Park, MD this past weekend (March 28-29) to partake in the Cherry Blossom Open held at the University of Maryland. Congratulations to all those who participated in these very competitive events and a special shout out to those finishing in the medals. 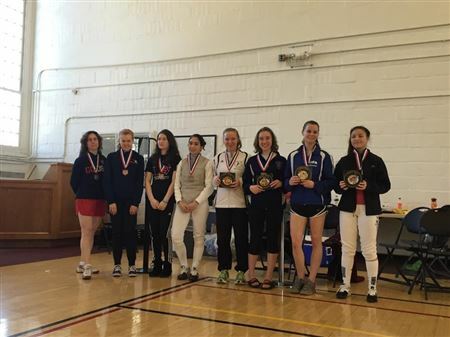 Gold was achieved in both foil events as Duncan Rheingans-Yoo placed first in the A2B3 Mixed Foil event and Sophia Mandour finished first in the B2 Women’s Foil event allowing her to renew her B rating for 2015. Rounding out the Mixed Foil podium was Daniel Budai with an eighth place finish. Not to be outdone, the epeeists fenced to the end as well. 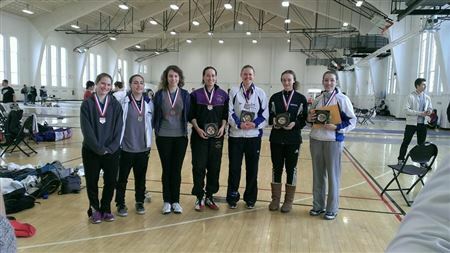 Congratulations to Marie Lawson and Yixuan Pei who finished third in the A2 Women’s Epee and A4 Mixed Epee events respectively. By finishing in the top eight, Yixuan turned his previous C rating into an A15. Best of luck for continued success to these fencers and all of the BFC Cherry Blossom participants!